The One Direction heart throb is said to have told friends he wants to "move up in the world" by getting into higher class circles. An insider told the Daily Star Sunday newspaper: "Harry is so bored of the showbiz set and thinks it's time to move up in the world. "Backstage before he gigs he was even trawling the internet, asking his band mates what they thought of each girl. He drew up a 'hit list' and the only rule was they couldn't be married." It is reported Harry, 19, has set his sights on British Princess Eugenie, but he also isn't ruling out Kate Middleton's sister Pippa - although he knows she is in a "serious" relationship. The source added: "Needless to say, Pippa Middleton's on his list - at number two - but he's aware she has a serious boyfriend. "He also has a thing for Princess Beatrice, even though he said she's not his 'typical type of girl'. "But he's totally fascinated with Princess Eugenie. He thinks she's got the full package of class, looks and status." The 'Little Things' pop star is apparently obsessed with the idea of getting into the high-class circles and is willing to date those with royal connections to work his way in. 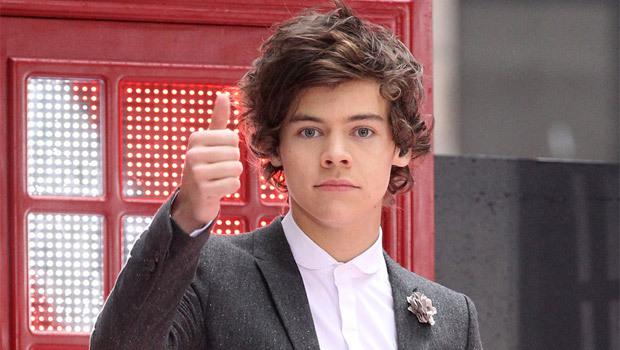 The insider revealed: "Harry has even secured a few phone numbers already through his high-flying contacts. "He hasn't ruled out latching on to some of Pippa's party pals to try to help him manoeuvre his way in there. "Harry really likes Pippa's friend Camilla Campion-Awwad, and is trying to get involved in her elite little circle."